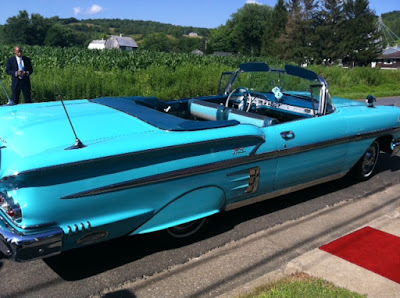 This past weekend, Jamie and I (along with our husbands and in-laws) headed up to the Elmira, New York area to attend the wedding of their cousin Becky (we blogged about her bridal shower gift here). At first, the plan was just to go up and attend the wedding, but once we learned the following two important facts, we decided to make the weekend into a little get-away: (1) it was a 4 hour drive to get up there and (2) there are wineries just a short drive from our hotel. Wine, as you all know, is the way to these two girls' hearts. So off we went on Friday afternoon. Due to traffic and weather (both very bad) we got in an hour later than we planned. So our much-anticipated trip to the Glenora winery was shortened to be just dinner instead of the tasting + dinner combo like we wanted. We were a little bummed ... that is, until we saw this view from the winery's balcony restaurant. Amazing, right? And it gets better. The meal was unreal. So delicious! They used a lot of fresh, local food and let me tell you, it did not disappoint. Here is Jamie eagerly awaiting the first course. Of course we ordered wine. When in Rome (er ... or New York) and all. We started with the unoaked Chardonnay and also tried some of the Pinot Blanc. Both excellent and perfect for a lovely summer evening dinner. The Glenora winery also has rooms! We were very jealous of the lucky ducks who were staying right there. In fact, we are talking about going back for a weekend of wine and uh more wine. And there you have it! A weekend of wine and wedding in the Empire State. Jamie and I are already checking our calendars to see if we can squeeze in a visit to the Glenora "lobsters and leaves on the lawn" event in September. The winery has a lobster bake on the lawn when the leaves are all changing. Yes please! Ever been to a winery, or to Glenora for that matter? Share! 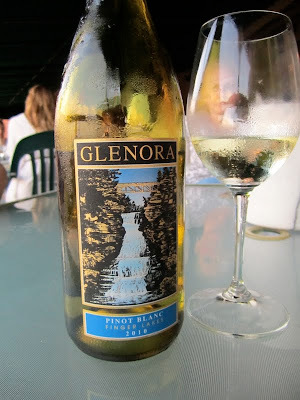 Note: Glenora Winery has not paid or comped us for today's post. OOoh that sounds like an awesome weekend!!! The food looks so yummy.......and the new couple, sweet!!! Glenora is awesome! Glad you enjoyed the winery. It is so fun to do a wine tour around all the wineries on the lake. The pics from the wedding look great. Beautiful! Wine rocks. 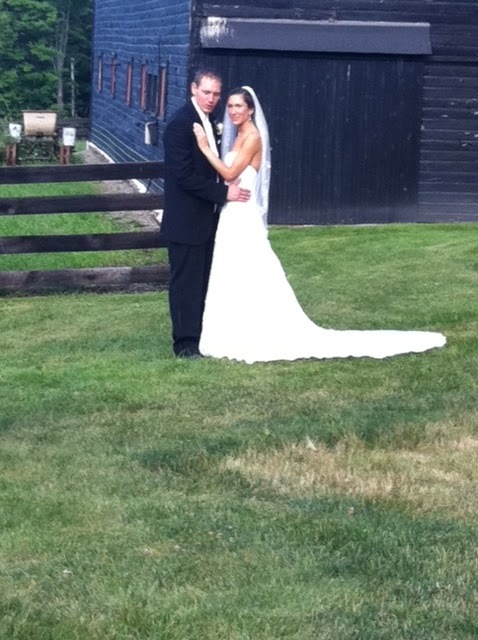 We loved the St. Michaels winery when we visited there last summer. We always try to visit wineries every chance we get, and of course bring him a bottle or two. The lobster event in Sept. sounds incredible! Love it! The vineyard is beautiful! I spent one weekend at the vineyards on Long Island's North Fork many years ago, and one weekend in gorgeous Napa. Even without a drop of booze, Napa was amazing. Jamie looks so pretty!